The best excursions for lovers of the army. Ride the tank and see how these tanks are produced. For such impressions it is necessary to go to Nizhny Tagil, where "Uralvagonzavod" is located - the most important defense enterprise in Russia. For example, they invented and compile "Armata", the world's only tank of the third post-war generation, with an uninhabited tower and a protective capsule that will save the crew even with a direct hit of the projectile. And yes, "Armata" is no longer deaf at the rehearsals of the parades. Well, of course, the plant also makes railway carriages. For a long time all the shops related to the defense industry were classified. However, some of them were opened for visitors this year. 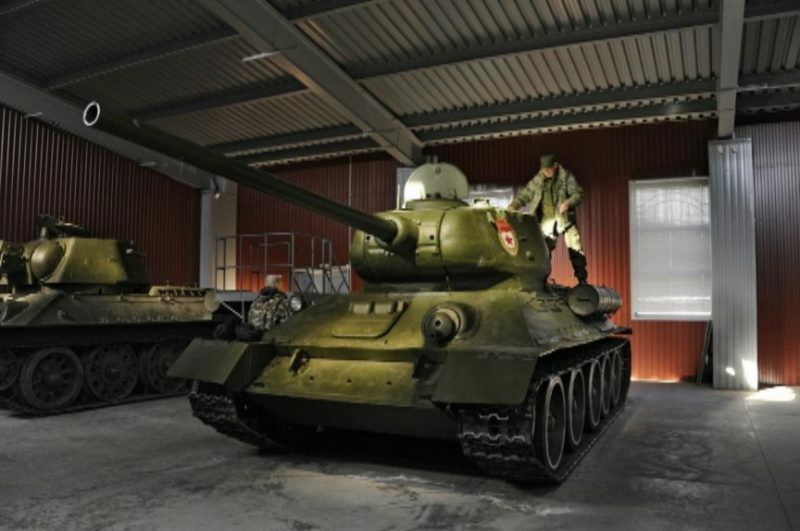 Now tourists are shown a shop where during the Great Patriotic War the legendary tank T-34 was assembled, and the factory museum, which contains more than a thousand exhibits telling about the establishment of the country's defense industry. But the main highlight of the tour for "Uralvagonzavod" is the opportunity to ride a real tank on the factory ground and wonder how almost 50-ton machine can be so maneuverable and fast. For these amusements, the factory was given a T-90 C tank, the main Russian combat vehicle that has been produced since the late 1980s. Well, after that was a lunch according to the schedule. In the factory canteen, with soldiers' porridge and pies. The whole tour of the "Uralvagonzavod" takes 8 hours. This museum is one of the oldest in Russia. It was founded in the beginning of the XVIII century after Peter I issued a decree ordering the Tula arms factory "not to cast old guns and fusoes and not to spoil it, but to hand over them as oddities to the storage facilities for storage". So the unique collection of the Tula weapon museum was born. 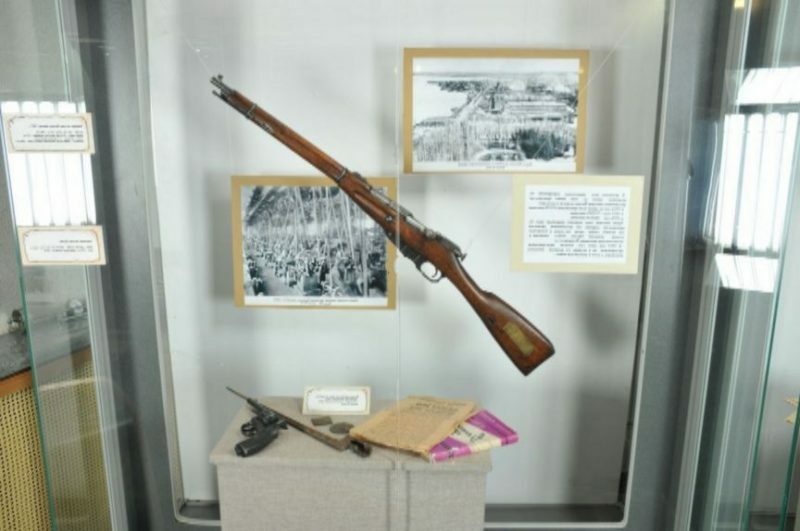 Now it has 14 thousand exhibits: artillery, automatic, cold, throwing, hunting and sports weapons. Basically, what the Tula craftsmen created, as well as the gunsmiths from Izhevsk and Vyatka glades. In the museum there is an exhibition that tells about the history of Russian weapons from the 14th century to the present day. This exposition has the special love of tourists. When you finish looking at all kinds of revolvers, rifles, machine guns and knives, go to modern military equipment, which is armed with the development of Tula gunsmiths – the multiple rocket launcher systems Grad and Smerch, the T-80 and T-55 A. There is still a shooting gallery in the museum where you can shoot from a wide variety of weapons: from Kalashnikov to hunting crossbow. The most common small arms in the world is the Kalashnikov assault rifle. Its legendary designer Mikhail Timofeevich Kalashnikov spent most of his life in Izhevsk, a city that is famous for its weapons traditions. In the capital of Udmurtia in 2004, a museum dedicated to the designer was opened, and immediately became one of the main sights of Izhevsk. 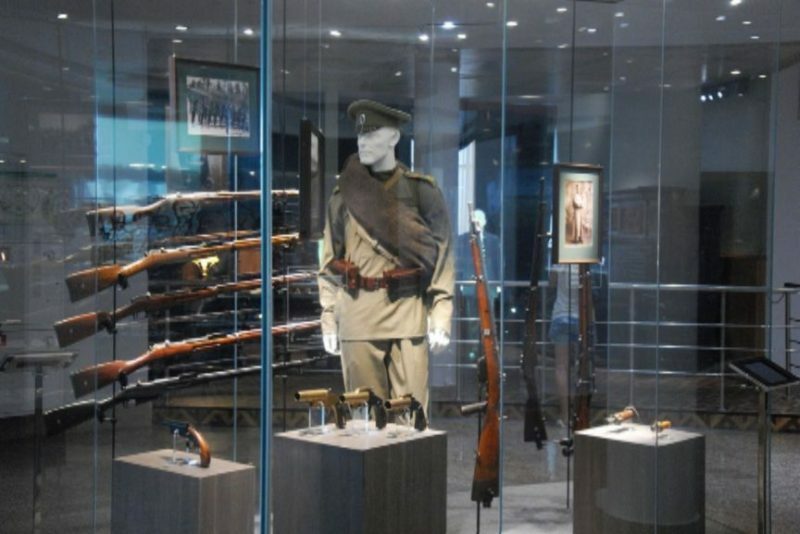 The permanent exhibition under the symbolic title "The Fate of Man" tells about the life of Kalashnikov. Here are stored his personal belongings, drawings, inventions, awards, documents from the family archive, video recordings. And in the museum complex there are two shooting galleries. In one of them you can learn how to shoot firearms in a practically combat situation. To shoot at targets do not forget to take your passport with you - without it you will not be allowed to enter the shooting gallery. The second shooting range is designed for even small visitors - it can be trained from the age of six. Here, targets from pneumatic weapons, crossbows and bows are knocked down. 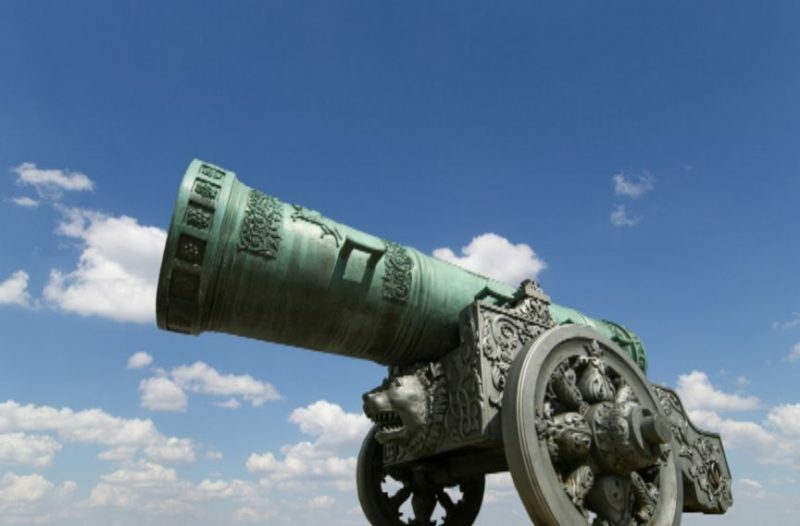 Every visitor once in his or her life had seen giant cannon inside the Kremlin. This is a real masterpiece of artillery art, created in the XVI century by the Moscow caster Andrei Chokhov on the orders of Tsar Feodor Ivanovich. This is the biggest gun in the world, for which it got its name. It weighs 40 tons, and its length is 5.34 meters, the diameter of the trunk is 120 centimeters. Truly gigantic in size, especially considering when it was created. Ironically, the cannon-giant never took part in the fighting. It would be impossible: such a machine is extremely difficult to transport from place to place, and the powder, which would be required to lay a two-ton core, could simply smash the cannon barrel. The cannon served, rather, to demonstrate power and to impress foreign guests. And now the Tsar-cannon is one of the main and most recognizable sights of the Kremlin. And since you are going on an excursion to the Kremlin, you need to look into the Armory Chamber. Contrary to the name, the amount of the weapon is very low. Basically, it's ceremonial weapons, awards and ceremonial items. However, all this was stored for many centuries in the royal treasuries, and therefore is of great interest. It is the main attraction of the Russian Island in Vladivostok. And, perhaps, it is one of the main attractions of the whole city. The Voroshilov battery is an engineering miracle, a unique fortification with a bizarre history. It appeared here in 1931 by the decision of the Revolutionary Military Council. The batteries were given the name of Klim Voroshilov. 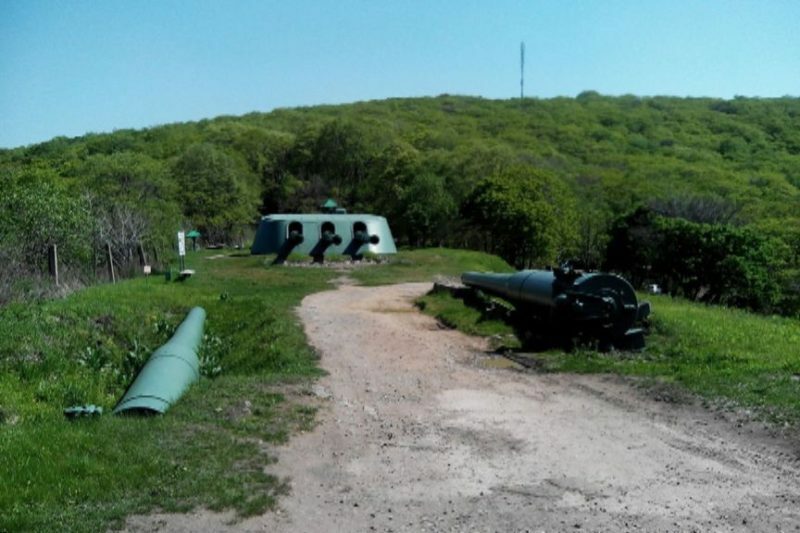 Impressive with its size, the batteries are weapons from the battleship "Poltava", which, if necessary, should be served to protect Vladivostok from invasion by the sea. Guidance, calibration and all gun control were conducted from an underground bunker. By the way, the composition of the powder, which was to be used on the Voroshilov battery, remains secret until now. can be touched by your own hands and even with the guide to simulate the supply of combat charge - all this in the old years was constantly practiced during the exercises. Well, and at the end of the tour, for an additional fee, you can independently produce a shot from a smaller gun.